The Dominican Republic is the second biggest country in the Caribbean after Cuba, forming part of the La Española island with Haiti. The first part of the modern Americas to be “discovered” by Colombus, its capital Santo Domingo is considered to be the first city of the New World, and its incredible culture and history make it the ideal place to learn more about the country, enjoy traditional Dominican foods and treat your senses with the sights and sounds of this diverse country. The Dominican Republic’s location makes it the ideal place for a honeymoon in the sun, with the Atlantic Ocean to the north, and the Caribbean sea to the south. With a tropical climate through the entire year – always guaranteed to be between 19 and 34 degrees – it does not matter if you’re getting married in Summer or Winter: it’ll always be a destination with a lot to offer! 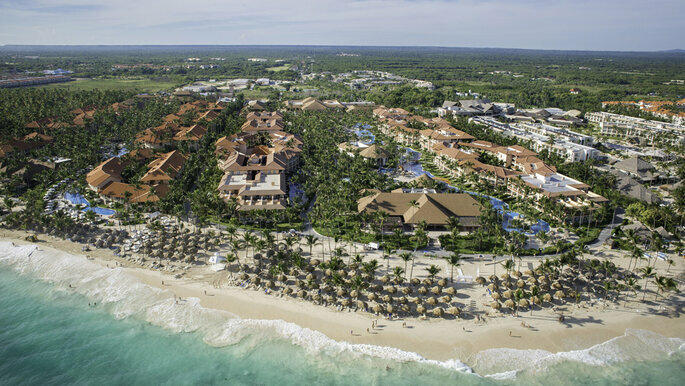 Punta Cana, a recreational place full of the most paradaisacal beaches and a carefree attitude that’ll entrance you, is its principal leisure area. 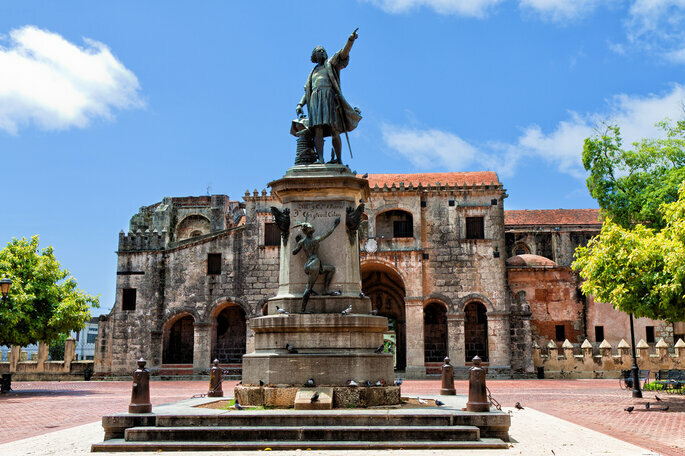 Due to its place in history, the Dominican Republic is a wonderful honeymoon destination for those who are looking for culture and the past – although you can spend hours in the luxury of its hotels and beaches, it is interesting to forget these modernities for a little and discover more of the authentic colonial heritage of this beautiful country. The colonial city is composed of 16 different streets which are replete with charming architecture all designed between the 16th and 20th centuries. 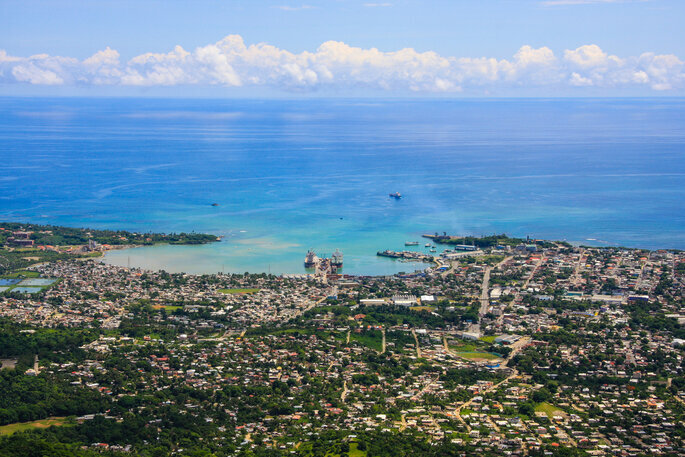 Don’t miss out on experiencing this incredible heritage by exploring via the small train that connects all of these neighborhoods: the Chu Chu Colonial runs for 45 minutes from the Botannical Gardens to the fabulous Malecón, where the city opens up to welcome you to the Caribbean sea. Along this line, you will find the shopping districts of the city, full of typical Dominican products (from traditional clothes to rustic dishes) designed by the locals. One of the best places to stay within Puerta Plata is at the Collection Marien. With an undeniable marine vibe, but contrastingly inspired by Victorian architecture from the 19th century, the Marien hotels in the Dominican Republic are luxurious and attractive. Puerta Plata is especially appealing for visitors due to its winning combination of beach and mountains – why waste money travelling to Spain for one, and France for the other when you can do it all in one place? 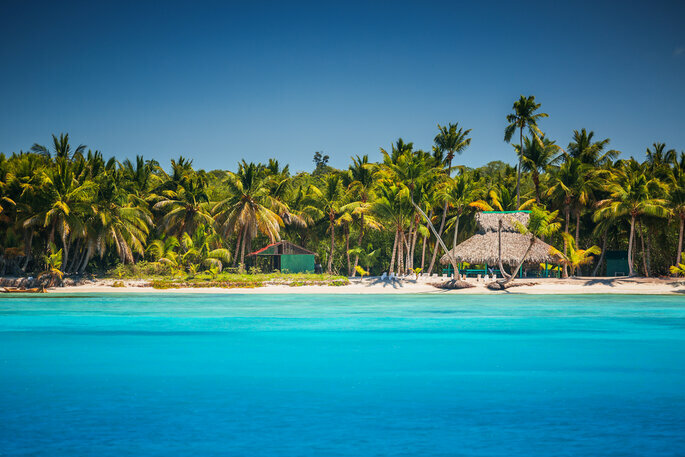 The crystaline waters are Punta Cana’s greatest feature, emphasised by the fine white sand and the gifts of the tropical climate that have allowed for the growth of some incredible natural features. Here in Eden, relaxing isn’t just an option – it’s positively mandatory: you won’t be able to stop yourself from sucumbing to the luxury of it all! Also, the location is perfect for activities such as diving and marine exploration, allowing you to see first-hand the immense biodiversity within its deep waters. And if you’re not much into watersports, then there are plenty of on-land activities: there are 11 different places to play golf, and a city’s worth of restaurants to go fine dining! The majority of hotels in this area mirror the paradise within which they are situated. 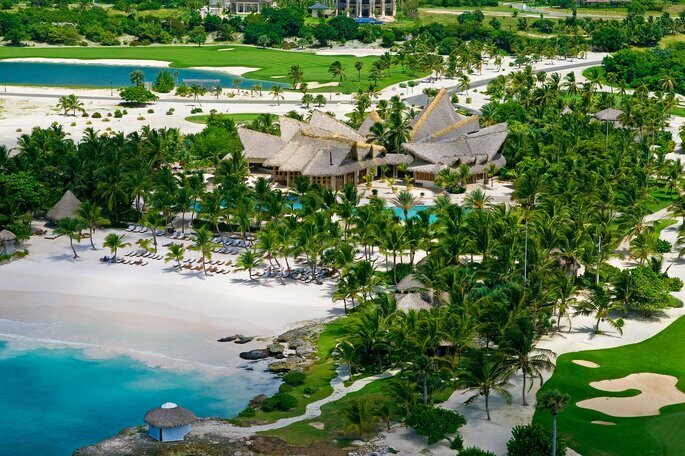 Eden Roc at Cap Cana is found in one of the most exclusive beach zones in the country; its tropical gardens and 34 luxurious suites are just the beginning of your incredible Caribbean experience! 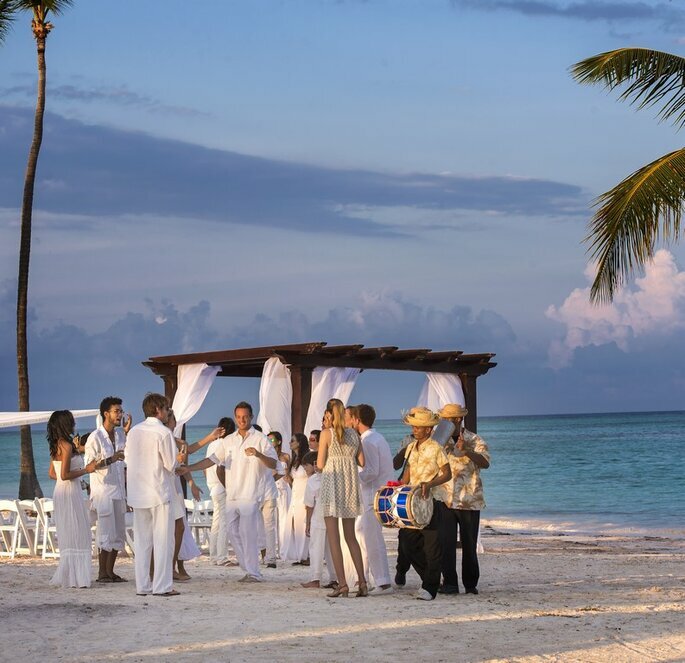 Similarly, the Dream Palm Beach is another huge resort found along the coast of Punta Cana, where the beach meets gourmet restaurants and an endless amount of amenities to be enjoyed. Majestic Resorts are also a good place to look for the ideal honeymoon hotel, with three stunning locations on offer: Colonial, Elegance y Mirage. Aside from the magic of its coasts, beaches and exquisite cities, the Caribbean boasts some of the most beautiful natural features as created by the tropical climate. 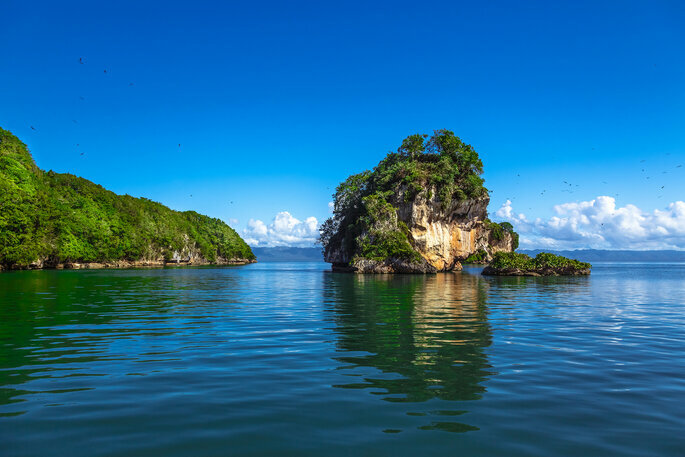 Samaná appears like a scene from a nature documentary, and is the wildest part of the country that you can visit. Green and vibrant, with the power to fill your heart with all new sensations, its terrain is decorated with coves, bays, waterfalls and mountains. The views you can have are simply marvellous, and offer up real adventure for nature fanatics. Mother Earth has indeed been generous here! Its beaches are dedicated to sports such as bodyboarding. However, it is not just a space for nature – the man-made cosmpolitan cities of Samaná and Las Terrenas are tranquil and modern. La Romana, contrastingly, triumphs for multiple reasons. Many years ago, its principal charm was its sugar cane which played a large part in the development of the Dominican Republic’s economy, becoming one of the most important places in the Americas. La Romana is nowadays home to famous beaches, the most fantastic sunbathing terraces and again, golf. Attracting hundreds of thousands of tourists every year, La Romana is definitely worth visiting on your dream honeymoon to the Dominican Republic! The Dominican Republic feels like it was designed to be the honeymoon of your dreams. Why not try it out for yourself, and head there for your incredible honeymoon in the Caribbean?